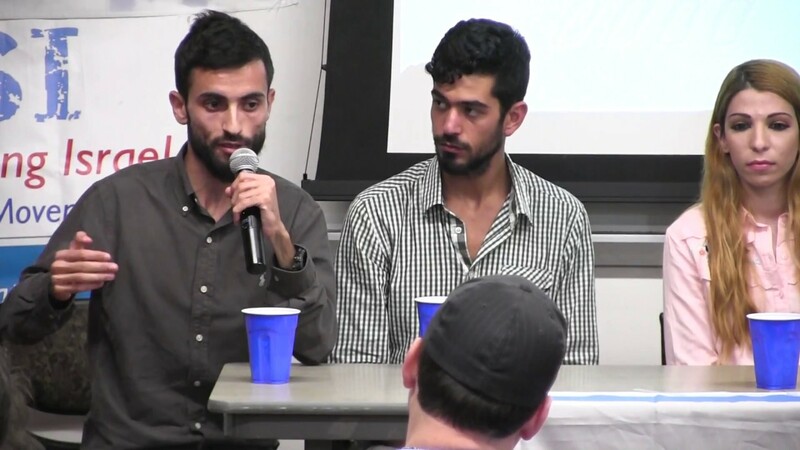 JooTube.TV: Arab-Israelis stun on US campuses: 'Let Israel be! Israel enables women, Muslims & Christians, like us, freedoms, equalities & opportunities Islamists never will"
Arab-Israelis stun on US campuses: 'Let Israel be! Israel enables women, Muslims & Christians, like us, freedoms, equalities & opportunities Islamists never will"
former soldiers critical of their I.D.F. actions - which has been used to bolster the popular notion that Israel is hypocritically unjust towards Muslims and other minorities - both inside the country and towards the irredentist Arabs in the disputed territories. 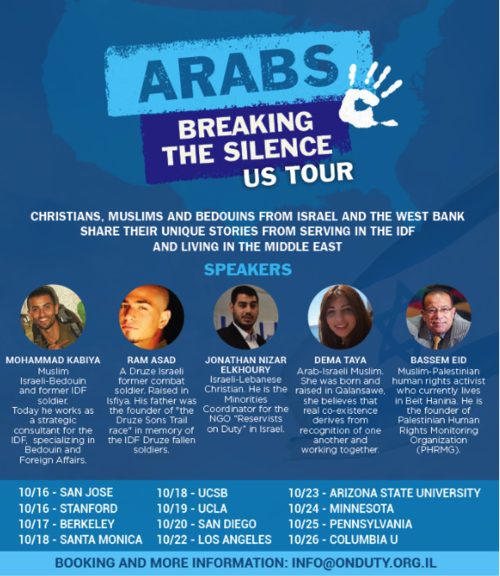 Reservists on Duty (RoD), a pro-Israel organization founded to combat anti-Semitism on college campuses, toured America in October with a two-week-long ‘Arabs Breaking the Silence.’ Five speakers with diverse backgrounds from the Arab community in Israel gave presentations and answered audience questions. These speakers, comprised of Christians, Muslims, Druze, Bedouins and Palestinians—including one from the West Bank, shared their experiences living in Israel and serving in the Israel Defense Forces. They toured colleges and communities across the United States in California, Arizona, Minnesota, Pennsylvania and New York, covering 12 locations over some 4,000 miles. RoD has been active on American campuses in coordination with Students Supporting Israel (SSI), especially during the Boycott, Divest and Sanction Movement’s (BDS) “Apartheid Week,” to correct the BDS narrative of Israel. 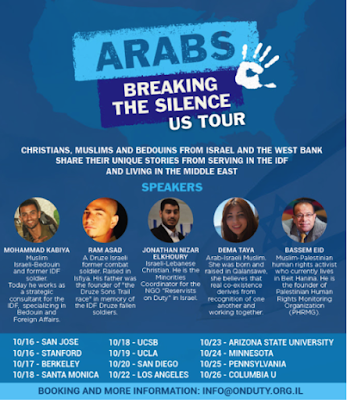 The upcoming tour departs from previous ones that focused on contesting BDS propaganda. 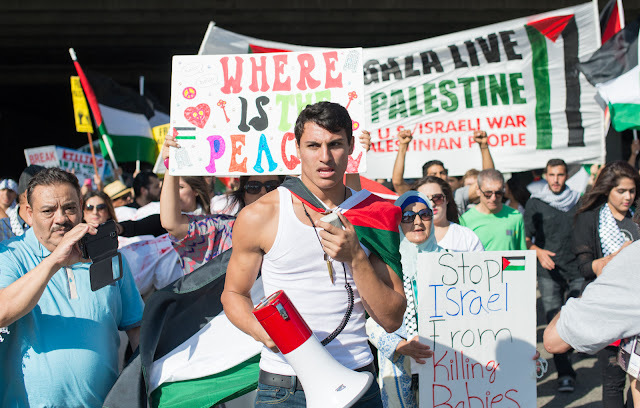 RoD has faced violent threats from BDS supporters at the University of California, Irvine, when Students for Justice Palestine (SJP) disrupted an IDF reservist speaking panel, which SSI hosted, by shouting expletives, leading to the reservists and pro-Israel student exiting the room with security, and university sanctions on SJP. “This speaking tour is very important because it highlights the real experiences of Israeli Arabs of minority populations in Israel, and provides a forum for them to express their views without censorship or derision from people who base their opinions on propaganda that comes from people who have never lived in Israel,” said Jonathan Elkhoury, RoD’s Minority Coordinator. “We are here to tell the truth about Israel: a diverse country with patriotic citizens who are Bedoiun, Druze, Arab, Christian, Muslim, and more. We are proud IDF veterans and Israeli citizens who know firsthand how our country treats minority groups with respect and compassion,” said Mohammed Kabiya, a Muslim Israeli-Bedouin IDF veteran. Having filmed and interviewed the RoD presenters at UCLA, this reporter conveyed his perceptions about the tour on the Israeli podcast, "A Hebrew in the Heartland," hosted by David Ha'Ivri. To fast-forward to segment start, please advance to 12min 19sec point. The anti-Zionist forces organized against support for Israel (even accurate academic depiction of Palestine vs Israel) are formidable. In previous years, the US NGO, Stand With Us, has withdrawn from its original counter-demonstrations off-campus, and later on-campus, creating a vacuum for a socio-political counter. 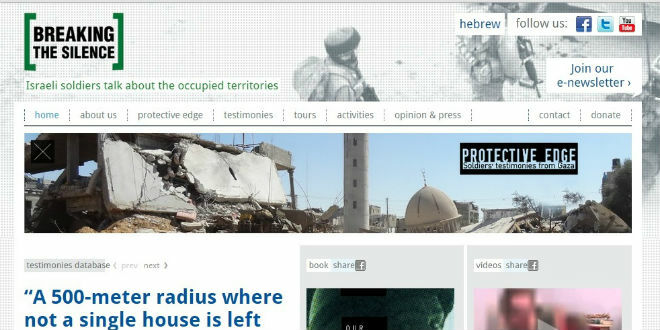 It's unclear that the Israeli-Arabs' testimonial visit is an effective way to counter the storm against campaigns against "occupation and persecution of Muslims in Judea, Samaria, and Gaza." Please help keep JewTube.Info producing independent, non-commercial reportage of Jewish, Zionist, and anti-Semitism issues for the world to see through it's original video. To donate to intelligence and information towardsthe defense of G-d and the Jewish people is your mitzvah of Kiddush Hashem. Please follow JooTube on Facebook and Twitter, and subscribe via the website if you already have yet to. Donate here or on the website. To make a donation via check, please contact JooTube via Facebook. May G-d bless you and your family in 2018 and protect the supporters of Israel.